Improvised explosive device with gas canisters found at entrance to Hevron holy site. 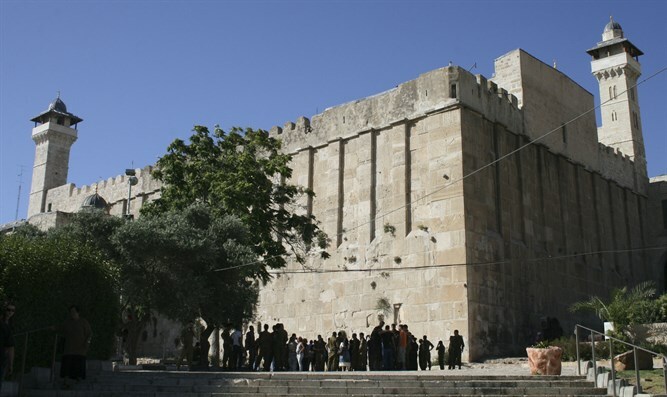 A bomb was found planted at an entrance to the Tomb of the Patriarchs in Hevron. The improvised explosive device, which was made up of two small gas canisters, was blown up by police sappers in a controlled explosion on Sunday evening. It was discovered near an entrance used by the Muslim community. The site and the roads around it were closed to visitors and other traffic during the incident. The site has areas of worship specifically for Jews and areas of worship specifically for Muslims. During the holy Muslim month of Ramadan, which ends later this week, access to the entire building is permitted only to Muslims on Fridays. “In the area of the tomb, there is unique coexistence that the security forces, including border police, protect with the goal of allowing freedom of worship and religion to both Jews and Muslims at the Tomb of the Patriarchs,” police said in a statement after the device was neutralized.